The news that a Bush-appointed federal district judge, John D. Bates, has ruled that Obama’s executive amnesty, not actual immigration law, is the law and that Trump must fully restore and renew the program is such a radical exhibition of judicial overreach that it should have been a banner headline or lead segment in every major media outlet. Instead it generated hardly a mention, let alone any outrage, from the establishment media who long ago fell into the trap of accepting the anti-constitutional concept of judicial supremacy over the Executive and Legislative branches of government. "The tyranny of the legislature is really the danger most to be feared, and will continue to be so for many years to come," Jefferson wrote Madison six weeks before Washington's first inauguration. "The tyranny of the executive power will come in its turn, but at a more distant period." Jefferson, Adams, Madison and other members of the founding generation of the American republic rightly feared the tyranny of the legislative and executive branches of government, but they could scarcely have imagined the present tyranny of the judiciary. Yet, here it is in its rawest and most tyrannical form – a low-level appointed official overturning and directing the executive and legislative branches of government to govern according to his whims, not the Constitution or the laws passed by Congress. The late Phyllis Schlafly, in her great book The Supremacists, said the gravest threat to American democracy is the supreme power of judges over political, social, and economic policy. A key point in Mrs. Schlafly’s argument was that this was only made possible by presidents, congressmen, and voters who surrendered without a fight. There was, however, one past President who did not surrender – his name was Andrew Jackson. In Marbury v. Madison, the Chief Justice John Marshall wrote that the Supreme Court is vested with the power of judicial review; it has the ability to determine that a law is at odds with the Constitution and therefore invalid. 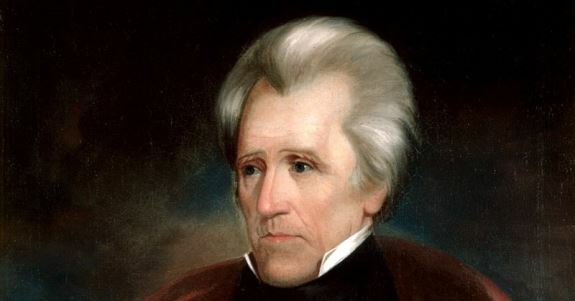 President Andrew Jackson, who had favored a policy of removing Indian tribes to the western territories, sided with Georgia in a confrontation with the Cherokee Nation. He believed Georgia and all states should have been given latitude in how they dealt with tribal governments, particularly when it advanced his goal of Indian removal. This clash between governments came to a head in a series of Supreme Court cases involving the Cherokee and two missionaries arrested by Georgia for “illegally” crossing onto tribal land. In the famous case Worcester v. Georgia, Chief Justice John Marshall ruled that Georgia laws dealing with the Cherokee should be null and void, and that all legal interactions with Indian tribes must be exclusively under federal jurisdiction. However, wrote Jarrett Stepman in The Daily Signal, due to the technical language in the Judiciary Act of 1789, Marshall’s decision was unenforceable by law. The court couldn’t compel the Georgia government to act and release the missionaries. The decision was more of a statement of principles rather than a legally binding judgment said Stepman in his analysis. Whether President Jackson defied the Supreme Court has been hotly debated ever since (Stepman says he didn’t) but the point is that unlike subsequent presidents and congresses, Jackson was prepared to challenge usurping federal judges and use, or not use, all the power and discretion the Constitution grants the executive to pursue his policy goals. As our friend Hans von Spakovsky wrote for the Sacramento Bee, responding in October 2010 to demands that he implement immigration reforms unilaterally, Obama declared, "I am not king. I can't do these things just by myself." In March 2011, he said that with "respect to the notion that I can just suspend deportations through executive order, that's just not the case." In May 2011, he acknowledged that he couldn't "just bypass Congress and change the (immigration) law myself. ... That's not how a democracy works." Yet in 2012, he did it anyway noted von Spakovsky. He put DACA in place to provide pseudo-legal status to illegal aliens brought to the U.S. as minors, including as teenagers. He promised them that they wouldn't be deported and provided them with work authorizations and access to Social Security and other government benefits. Obama’s subsequent attempts to legalize more illegal aliens was knocked down by the Fifth Circuit Court of Appeals when it upheld a nationwide injunction against DAPA, which the Supreme Court allowed to stand. As the Fifth Circuit said, the fact that the president declined to enforce the law and remove illegal aliens "does not transform presence deemed unlawful by Congress into lawful presence and confer eligibility for otherwise unavailable benefits based on that change." President Trump should take the Fifth Circuit’s ruling as controlling and proceed to enforce all the laws that Congress passed, including those that require the deportation of those illegally benefiting from Obama’s unconstitutional DACA program. Submitted by email_registrat... on Tue, 08/28/2018 - 16:05. The judges in the amnesty (which I have a big problem with-0amnesty) and banning the immigration policy are two prime examples, Obummer said it himself,"the executive branch supersedes any federal court. "Liberals will try anything and yes, the Bushes are liberal globalists with ties to the Muslim Brotherhood.